There are a whole new set of fees that will be charged to Californians who are recording real-estate-related documents ("real estate instruments") that are not part of, or connected with, a real estate sale. The fee is $75 per document, up to a limit of $225 per occasion. It is important to note that it is not the kind of instrument that is important, but, rather, the context in which it is being recorded. If, for example, you are refinancing your property, part of the transaction involves recording a new trust deed. That will cost you $75 (in addition to whatever other costs might be incurred). 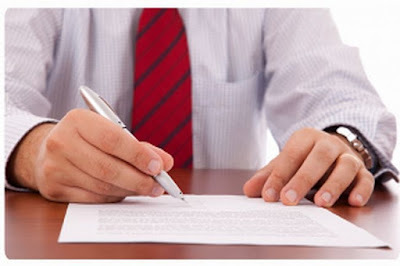 If, however, you are recording a trust deed in connection with the sale of a property, the extra charge will not be imposed. Also, no charge will be imposed on a transfer of property -- even if it is not a sale -- to a person who will be an owner occupant. What kind of documents might a property owner want to record, even if no sale is occurring? A short, incomplete, list might include: deed of trust, re-conveyance, assignment of trust deed, declaration of homestead, easement, mechanic's lien, notice of completion, and covenants, conditions, and restrictions. There's plenty more, and they all cost an extra $75 a pop (up to $225 per transaction). This is all the result of Senate Bill 2 (Atkins), the Building Homes and Jobs Act, which the Governor signed into law September 29, 2017. It made additions to both the California Government Code (§27388.1) and the Health and Safety Code (§50470). The purpose of the bill was to provide a permanent source of money that could be used to provide, "an adequate supply of homes affordable to California at all income levels…"
Prior to this, affordable housing programs, including those to assist the homeless, were financed through voter-approved bonds and through a 20% set-aside that was imposed on redevelopment agencies. Bonds do not provide a permanent source of funding, and nearly all the existing voter-approved funding had been awarded. Moreover, redevelopment agencies have been eliminated. According to the Legislative analysis, California has a shortfall of approximately 1.5 million affordable units for low and very-low income households. (This includes rental housing.) Furthermore, with 12 percent of the U.S. population, California has 20 percent of the nation's homeless population. It is estimated that 118,000 Californians are homeless on any given night. According to the Senate Appropriations Committee, the new fees will generate $200-$300 million annually. SB2 specifies the manner in which the funds are to be spent. In the first year, half of the money will go "to local governments to update their general plans, housing ordinances, and other planning documents to increase the production of housing. The other half of the funds in the first year will go to assist people who are homeless or at risk of homelessness. In all subsequent years, the bill requires 70% of funds deposited into the Trust Fund to be distributed via formula to cities and counties to be used in a variety of ways to address the unmet housing needs of the jurisdiction." For a full and more detailed accounting of the use of the Trust Funds, the reader is invited to check out §50470 of the Health and Safety Code. It is very detailed. Since the implementation of Senate Bill 2, the California Association of REALTORS (CAR) has received complaints "that title companies (and potentially some county recorders) have been improperly charging buyers for exempt documents."